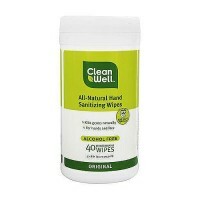 Stops the spread of germs and keeps your hands refreshed, clean and healthy. Sanitizes & Moisturizes without water. The natural plant-based alternative to chemical laden hand sanitizers. The organic way to clean your hands & stay healthy. 62% Organic Alcohol. There were two hands and zillions of germs. Each hand busy, doing all of the things of the day and zillions of germs trying to stay involved in whatever is going on. 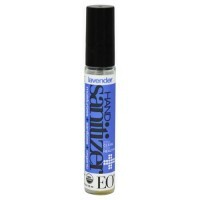 Using EO Hand Sanitizer keeps both hands refreshed, healthy and clean while keeping germs out of the picture. 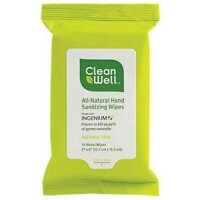 Unscented hand sanitizer cleanses naturally - scent free. Organic Alcohol (non-GMO) sanitizes on contact. Ethanol (Organic) (non-GMO), Water (Purified), Vegetable Glycerin, Jojoba Oil (Organic) (Simmondsia Chinensis), Carbomer (thickening agent), Dimethicone (silica-derived moisturizer), Amino Methyl Propanol (pH adjuster). Put a small drop in your palm and rub the product over all surfaces of hands and fingers until hands are dry.